Quest Apartment Hotels is responding to Western Australia’s tourism resurgence with the recent opening of their newest premium apartment hotel. 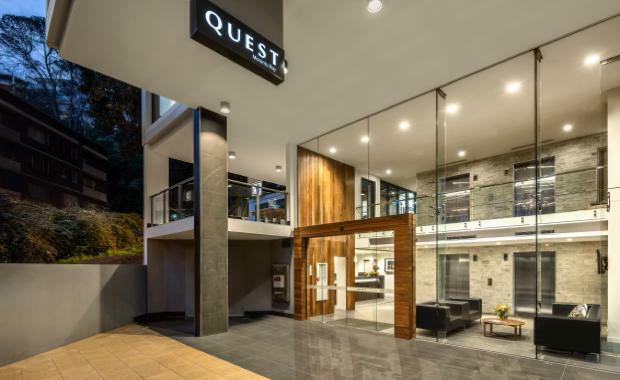 Quest Mounts Bay Road was opened at 130 Mounts Bay Road in central Perth and is part of Quest’s strategy to grow in the area, and add 790 rooms to the local market over the next two years with eight brand new properties in the WA pipeline. 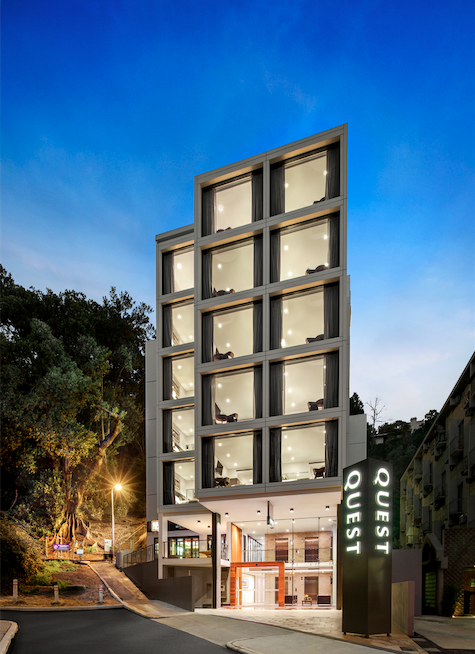 The new property is Quest’s second in the Perth CBD, joining Quest West End to offer guests a wider range of options, while meeting a growing demand for quality accommodation in the area. Developed by Diploma the brand new property features 71 fully self-contained studio and one-bedroom apartments. Guests have access to an onsite gymnasium, reception, restaurant chargeback, pantry shopping, valet dry cleaning and business administration services. Quest CEO Zed Sanjana is confident about the future of tourism in WA, buoyed by Deloitte’s latest half-yearly Tourism and Hotel Market Outlook, which highlighted that surging tourist numbers are requiring all major centres to up their accommodation offering, with Perth at the forefront. Mr Sanjana said these sector growths mean major demand drivers for Quest’s style of accommodation. “The market has responded strongly to the Quest offering given the current lack of choice of quality properties,” he said. “The Australian headquarters of many global companies are located in the City of Perth due to its proximity to key international markets. “Strong growth is expected to continue over the next decade as major industries strengthen and diversify, thereby expanding the workforce in the CBD. “State Government investment in WA is strong, with an ongoing commitment to several major redevelopment projects, including the $1 billion Gateway WA project improving access to and from the Perth Airport precinct, the $2 billion Fiona Stanley Hospital and the new $1.2 billion Perth Children’s Hospital,” he said. A third CBD property is scheduled to open in September – Quest East Perth – providing yet another premium apartment hotel offering for both the leisure and corporate traveler.